Bienvenidos a Santa Fe, New Mexico. Continuing our tour of New Mexico, Santa Fe was one heck of a booming town to visit. It reminded me a lot of Santa Barbara with it's artistic / hippy yet older crowd. There's even an entire street filled with galleries on every side (canyon road)! But there's also a new generation of cool coming into the area. One that left me truly inspired. 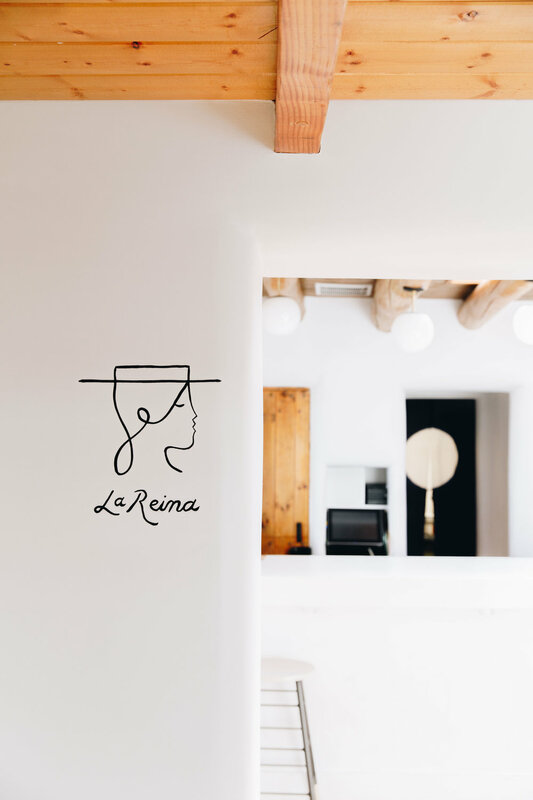 One of the most inspiring new renovations in Santa Fe is El Rey Court with the mezcal bar: La Reina. You can read all about it in The Venue Report's article here! The interiors are mouth-watering and the vibe inside has a mix of creative energy and inspirtation with such an easy going desert pace. Another favorite on the list of gorgeous interior spaces is Bodega Prime (which was is right across the street from El Rey Court). I am absolutely obsessed with the green sofas that adorn the far side of the restaurant. 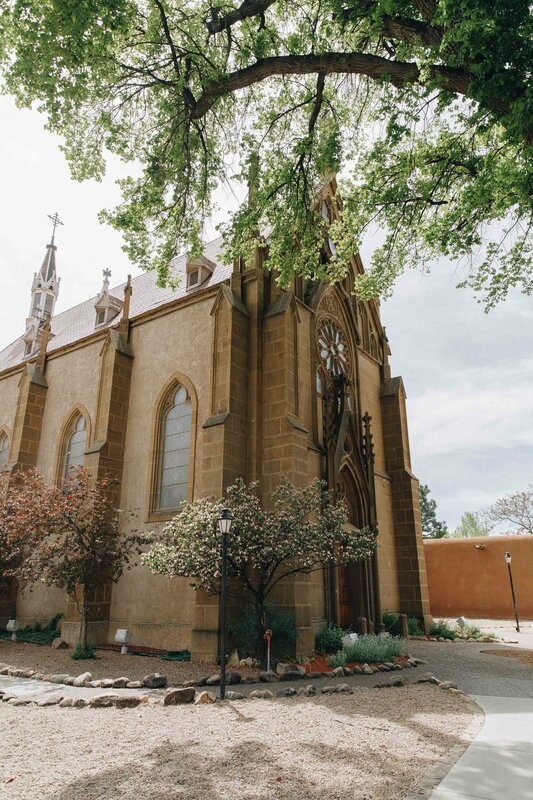 The downtown area of Santa Fe is a mecca for native handcrafted goods, gorgeous adobe buildings and beautiful art galleries. Another favorite spot was Better Day Coffee with this gorgeous sitting area. Perhaps what made it even better was just how friendly everyone was, and their breakfast burrito. 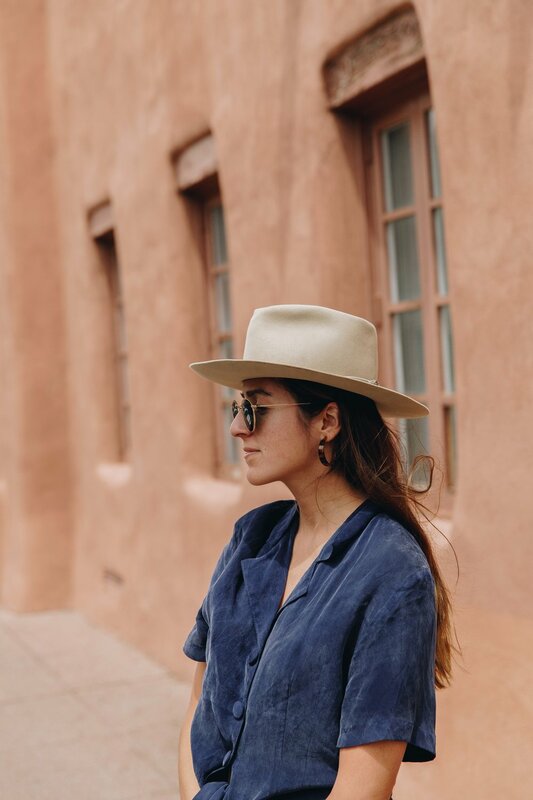 If you're looking to be surrounded by a new energy of creatives with the backdrop of adobe buildings then you must make a trip to Santa Fe, NM. It will not disappoint.